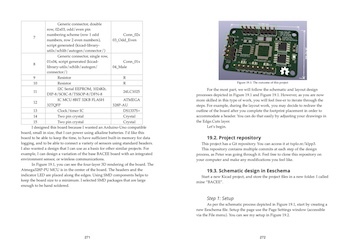 A new book for the world's favourite open source printed circuit board design software. 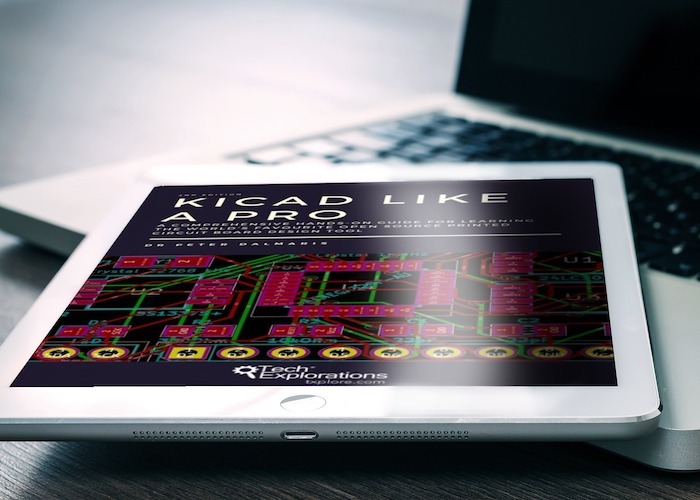 The Kicad development team released Kicad 5 in August 2018. This is an almost complete re-write of version 4. Kicad 5 is full of improvements and new features, including new libraries, a new 3D model viewer, better drawing tools, new symbol and footprint choosers, and new symbol and footprint editors. I wrote this book using Kicad 5. We learn best when we learn in context. 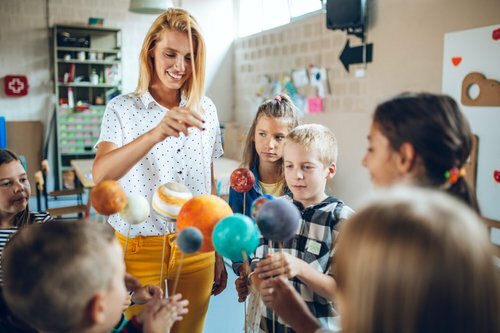 Projects provide a context so that learners can understand not just how to do something, but also why it is done in a particular way. This book uses the project-based learning method to help you learn simple and complicated concepts and techniques. Use the book to guide you through these projects, experience the process of creating the boards yourself. Be in control, and be satisfied that you own your learning. In project 1, design the simplest possible working PCB: an LED and resistor circuit. In project 2, design a power supply that plugs in your breadboard. Use it to power your breadboard projects. In project 3, design a HAT board for your Raspberry Pi. The board contains LEDs, sensors, and other SMD components. In project 4, design an Arduino clone board that has a real-time clock and an external EEPROM. This board is perfect for remote applications, and you will develop two auto-routed versions. Learning should be a straight-forward, rewarding experience for you. This is why I have filled this book with clear instructions, triple checked and verified. Be illuminated, not confused. And if something still doesn't work, we have your back; simply raise a ticket on our help desk. These and many more are all covered, with examples. 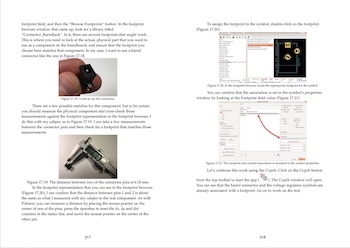 EPUB (works with most ebook readers). If you don't like it, ask for your money back within 20 days of your purchase, and keep the book. 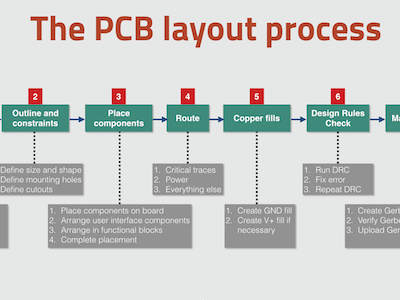 Learn about the basics of PCB design, the design process, the Kicad capabilities. Gain an understanding of the schematic and layout design, and how those are implemented in Kicad. Understand how your board layout is manufactured into a professionally finished product. Creating a PCB starts with the schematic design, in which you describe the circuit using symbols. The work concludes with the layout, in which you design the specifications of the board. Learn how to do this in Kicad for circuits and boards of any complexity and size. 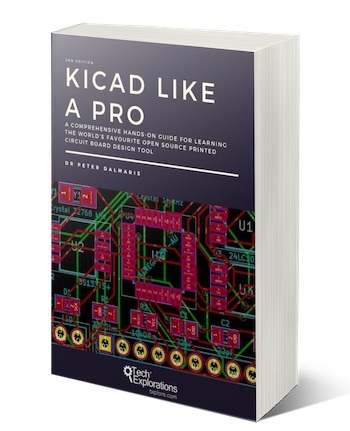 Learn Kicad by working on three real-life projects. With each project, you will learn new skills. Create single, to double and quad-layer boards, manually or automatically routed, with rich features that are both practical and beautiful. 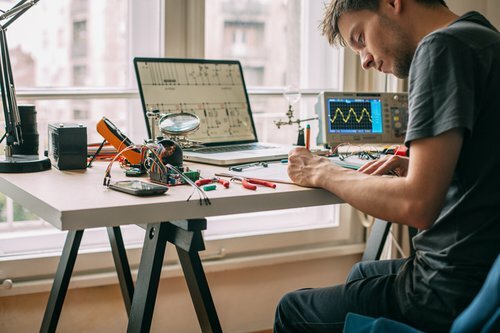 PCB design is engineering and is informed by principles that make designs better in terms of performance, reliability, and manufacturability. This book discusses many of those principles and shows you how to apply them in practice. It will also introduce and explain many of the concepts that you should know before you draw your first board. I wrote this book for people with a variety of backgrounds and objectives. STEM students who want to complete their science fair project with a professional-looking board. STEM teachers who are ready to take their students past the breadboard. Engineers with experience in other CAD software that are interested in learning Kicad. If you are someone with little or no experience in PCB design, you will find this book particularly useful. I took care to make it as gentle as possible for beginners to learn without becoming intimidated by the complexity of the software or the technical language. By downloading this sample, you agree to sign-up to the Tech Explorations email list. You agree to receive occasional communications from us. This communication will contain educational and promotional content. We respect your privacy and will never share your private information with others. You can unsubscribe at any time by clicking on the Unsubscribe button at the bottom of all our email. Dr. Peter Dalmaris is an educator, electrical engineer, electronics hobbyist, and Maker. He is an instructor of DIY electronics and author of several technical books. Peter is also the author of “Maker Education Revolution,” a book about how Making is changing the way we learn and teach in the 21st century. 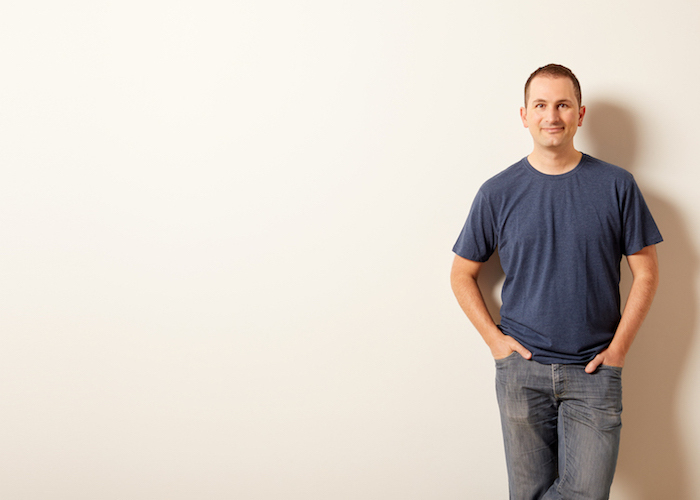 As a Chief Tech Explorer since 2013 at Tech Explorations, the company he founded in Sydney, Australia, Peter’s mission is to explore technology and help educate the world. 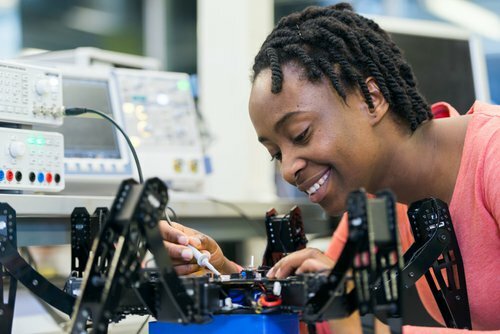 Tech Explorations offers educational courses and Bootcamps for electronics hobbyists, STEM students, and STEM teachers. A lifelong learner, Peter’s core skill lies in explaining difficult concepts through video and text. With over 15 years of tertiary teaching experience, Peter has developed a simple yet comprehensive style in teaching that students from all around the world appreciate. My team and I want you to be absolutely happy with your purchase. We know that you will be spending a lot of time learning, using our books and courses. Our goal is to help you learn and to enjoy the experience. It is the only way you will come back to learn more, and the only way you will tell your friends about us. Our goal is not frustrate you, annoy you, or to do anything that will spoil your learning experience. This is why all our courses (except for the Arduino Bootcamp for Teachers) and ebooks purchased from the Tech Explorations website, come with our "Peace of Mind; No Question Asked; No Hassle; Money Back Guarantee." Our promise is very simple. If you purchased any of our books or courses, and you feel that what you got was not worth the money you spent on it, just let us know, and we will refund you the full amount you paid. You can email me directly (peter at txplore.com) or raise a ticket in our Help Desk. Just mention which product you want to be refunded, and approximately the date of purchase so we can find your record in our database. If you wish to (this is not required), say why you are not happy with your purchase (this will give us the opportunity to improve). We will process your refund immediately. If the product is a ebook, you can keep it. If it is a course, we will un-enroll you as part of the refund process. Because of limits set by credit card companies and Paypal, we ask that you request a refund no more than 20 days after your purchase.